On the Titanic, there were 95 ladies travelling second class. 83 of them were rescued (87.4%). 12 were lost in the sinking. Who were they and why did they not survive? On the Titanic, there were 95 ladies over the age of 12 travelling second class. 83 of these (87.4%) were saved. How come twelve of the ladies in second class were lost? First of all, second class passengers had a tendency to end up on the aft port side of the ship, i. e. near boats 10, 12, 14, and 16. There, they had a good chance of entering said boats. Approximately ⅔ of the surviving ladies in 2nd class entered one of these boats. However, the strict rule of ''women and children only'' on that side of the ship made it difficult for married ladies. Some were enticed to enter the boats, being assured that their husbands would get into other boats, but at least two of the married women (and probably more) in that part of the ship had the chance to escape but chose to stay with their husbands. One young lady was near a lifeboat but for some reason did not enter it, although her travelling companion and the latter's son did. Some of the women may not have found their way to the lifeboats at all. Let us have a closer look at the twelve ladies who did not survive. She had been born 3 March 1867 in St. George's, London, the daughter of Thomas, a lawyer born 20 October 1823 at Uffington, Berkshire, and Ann Frances (nee Ford; also listed 'Fanny') Hughes, who had been born in 1826. Her parents had married in the third quarter of 1847 in the St. Thomas district of Devon. In 1881, she was 14 years of age and a scholar, living at Park Street in the St. George Hanover Square area of London, with her parents. There were also three servants living in the household; Jane Hawkes, 28, cook, Rachel Smith, 20, parlourmaid, and Tamar Smith, 16, a housemaid. She married Ernest Courtenay Carter on 1 January 1890, in the church of St. Paul, Chester, Cheshire, in the Church of England tradition. Rev. Carter was a vicar (Church of England) in London. They had no children. In 1911, they lived at St. Jude's Vicarage, 26 Commercial Street in Whitechapel, London. There were two servants in the household at the time; Emily Stevens, 53, cook, and Laura Reed, 36, house-parlourmaid. Nobody seems to have noticed the Carters during the sinking of the Titanic. Her birth was registered in the second quarter of 1882 in the Liskeard district of Cornwall, England. She was the daughter of William Henry, a farmer born about 1848 in Cornwall, and Emma (nee Hill) Lawry, born about 1849 in Cornwall, and she was christened on 6 October 1882 in St. Neot, Cornwall. Her parents had married 22 June 1880 at St. Neot in the Liskeard district of Cornwall. In 1891, she was 8 years old and lived with her family at St. Neot in the Liskeard district of Cornwall. She had a sister, Emma Sussia (? ), 5, and a brother, Charles Edwards Hill, 2. In 1911, she lived with her brother in St. Neot, Cornwall. She was 29 according to the census and there was no occupation stated. She married John Henry Chapman in Liskeard at the Wesleyan church on December 26, 1911. They were on a delayed honeymoon, apparently travelling to Fitzburn, Wisconsin, via Chicago. Possibly, their final destination was Spokane, Washington. On the night of the sinking, Mrs. Chapman was seen on boat deck by Mrs. Eliza Hocking and Mrs. Emily Richards, according to the West Briton and Cornwall Advertiser. When Mrs. Hocking was about to enter her boat (unknown which one), she heard Mrs. Chapman say: ''Goodbye' Mrs. Richards. If John can't go, I won't go either.'' 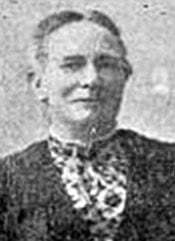 Subsequently, Mrs. Chapman stayed on the ship and was one of twelve women in second class to be lost. She was born 6 August 1881 in Utah. Her parents were Levi Alexander, who was a bishop in the Church of Latter Day Saints (LDS), born 12 June 1857 at Payson, Utah, and Mary Alice (nee Curtis; she had been born 30 August 1858 at Payson, Utah) Colvin. They had married 14 October 1880 in Salt Lake City, Utah. In 1900, the Colvins lived in Payson City, Utah. Irene was 18 years of age at the time and her brothers and sisters were Katie, b. November 1882, Curtis, b. November 1885, Tracy (son), b. November 1887, Millie, b. November 1889, and Hattie, b. October 1892. Miss Colvin married Walter Harris Corbett in Salt Lake City on 13 December 1905. Irene and Walter had three children: Walter Colvin, 16 December 1906 – 9 March 2002, Kady Roene, 5 November 1908 – 30 December 1973, and Mack Colvin, 27 December 1910 - 6 October 1976. 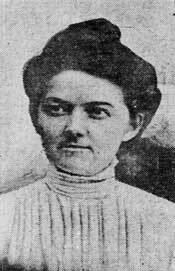 Her actions during the night of the sinking of the Titanic are unknown since no survivor mentioned having seen or noticed her. Her husband later remarried (11 November 1914) and had three more children. His second wife was Annie Dean. He passed away on 4 February 1917, aged 31, and is buried in Provo, Utah. She had been born in August 1879 to John Alexander and Sarah (nee Jarrett) Miller. Mary Emma's father John had been born in Ohio in December 1849 and was a carpenter. Her mother Sarah was born in Pennsylvania in October 1854. In 1900, when the family lived in Elliot Borough, Allegheny County, Pennsylvania, Mary's (listed Mamie) brothers and sisters were noted as Abert (Albert? ), born in October 1881, a stenographer, Bertha, born in October 1881, a seamstress, John, born in March 1884, an errand boy, Howard, born in April 1885 (he was at school), Percy, born in June 1889 (he was at school), Elva, born in February 1894, Lydia, born in January 1896, and Sarah, born in November 1898. In 1910, the Miller family lived at 1131 Steuben Street in Pittsburgh. Mary was described as a city school teacher. She married Percy Coleman Corey, 37, in Windsor, Essex, Ontario, Canada, on August 26, 1911. He was described as a manager of a petroleum company and she as a teacher. They both belonged to the Presbyterian Church. Mr. Corey was born in June 1874. Mary's widower Percy Corey would later marry a Hazel Eugenia Mcdanials (sic) in Los Angeles, on August 22, 1914. Reports that he had died of smallpox proved to be incorrect, thus, which also was corroborated in the contemporary press. She was pregnant when she sailed for America and, according to fellow passenger Lawrence Beesley, she was a schoolteacher (unless he was referring to Annie Funk). Contemporary press stated she had been a teacher at the Westlake School, West Carson Street, Pittsburgh, for 14 years and that she had gone to India to live with her husband shortly after their marriage. She was now coming home for a visit with her mother. She had been visiting points of interest in Europe before joining the Titanic on her maiden voyage. Nobody reported seeing her on deck on the night of disaster, but it has been suggested she, being pregnant, stayed in her cabin with Mrs. Karnes until it was too late to escape the sinking liner. She had been born 12 April 1874 in Pennsylvania. Her parents were James Bichtes, born 17 January 1845 in Pennsylvania, who operated Funk's grist mill (between Clay and Palm in Berks County) and Susanna Bechtel (nee Clemmer; she had been born 13 February 1845 in Pennsylvania) Funk, who had married 21 November 1868 in Berkshire, Pennsylvania. Annie Funk had six living brothers and sisters, including Oswin C., born about 1869, Ambrose, b. ca. 1871, Harry, b. ca. 1876, and Mary, b. in late 1879 or early 1880; another three siblings had died in childhood. Her parents had married 21 November 1868 in Berkshire, Pennsylvania. 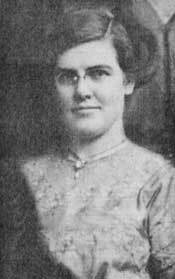 Miss Funk had been a Mennonite missionary in India for five years. She was stationed at Janjgir. She had started a school for girls there and learned the local language. In 1912, upon learning that her mother was ill, she returned to her home in Pennsylvania. In a letter to her father, she wrote that she had planned to sail on the Haverford, bound for Philadelphia, but that would have necessitated a stay in London for nine days, and she was anxious to get home and so took passage on the Titanic instead. Her mother passed away in 1913 and her father lived until 1929. There is a cenotaph in Union Cemetery of the Hereford Mennonite Church in Berkshire, Pennsylvania. Miss Funk is 38 years of age and was on her way home from India, where she spent five years as a missionary at Janjgir, Central Province, one of the stations of the Mennonite Church. She sailed from India on the steamer Persian of the Peninsular and Oriental Line. She was to have gone to London on this boat, but by a change of plans went ashore at Marseilles from which point she travelled to London by rail. This brought her to the metropolis on April 8, two days before the sailing of the Titanic. This information was received by Miss Funk's father in a letter that reached him two days ago... She originally had intended coming across on the ship Haverford, which sailed from London yesterday for Philadelphia. By the tone of her last letter, it was evident that she was anxious to reach America at the earliest possible moment, hence the belief that she sailed on the Titanic. Relatives and friends of Miss Annie C. Funk, daughter of Mr. and Mrs. James B. Funk, of Clayton, Berks county, are sure she lost her life on the Titanic. Miss Funk was the first woman ever sent to India as a missionary by the Bally Mennonite Church, and left her home five years ago, and was located at Janjgir, Central Province, India. There were reports that she had been offered a seat in a lifeboat, but had declined the offer so that someone else could be saved. This rumour has not been substantiated, however, since no survivor has been discovered who mentioned seeing/noticing Miss Funk after the Titanic hit the iceberg (or during the voyage as such, for that matter). Furthermore, there was no need to give up a seat, since no boat was full (except boats 13 and 15). She was born 7 February 1894 in Finland. Her parents were Pekka Pekanpoika (b. 16 April 1860) and Ida (nee Muinonen, b. 25 January 1864 in St. Michel). Hiltunen and she seem to have lived in Utra, Finland. She was born 14 April 1851 and was christened 26 December 1851 in Chisledon, Wiltshire, the daughter of Ann Arman, who was unmarried, and who had been born 6 April 1832 at Chisledon, Wiltshire. In 1851, Ann Arman was noted as a servant, and as a visitor in the family of Henry and Mary Wheeler, who lived in Rodborne Cheyney, Wiltshire. Mr. Wheeler was a tailor, aged 34, and his wife was 30. Miss Arman was still a domestic servant in 1871, working in the family of Lawrence and Elizabeth Engel in the St. George Bloomsbury area of London, England. She married Benjamin Howard on 16 May 1872 in Highworth, Swindon, Wiltshire. They had four children; William Henry (b. 1873), Frederick Charles (b. 1878), Ethel Louise (b. 1879) and Herbert Ben (b. 16 February 1887). They lived at 85 Cheltenham Road in Swindon, Wiltshire, where, by 1912, they had lived for at least 20 years. Mr. Howard's health had been declining, and they were going to visit their sons Herbert, who had emigrated to the USA in 1908, and Frederick, who lived in Buhl, Idaho. Their actions during the night of the sinking of the Titanic remain unknown since no survivor reported seeing/noticing them during the evacuation. She was born in June 1889 in Pennsylvania. Her parents were William F. N., a clerk at a coal office born in July 1867 in Pennsylvania, and Bessie/Eliza (nee Barclay; she had been born in September 1867 in Pennsylvania) Bennett, who had married 15 April 1887 at Mahoning, Ohio. In 1900, she lived with her parents and brother Charles at her paternal grandparents' home in Allegheny, Pennsylvania. In 1910 she was stated to have been 20 years old and was not listed as having any occupation and she lived with her maternal grandparents at Sheffield Street in Pittsburgh. Her brother Charles, 22, also lived there. 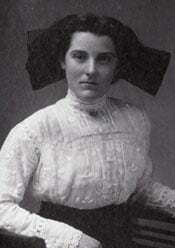 She married Jacob F. Karnes, 31, on 5 April, 1911, in Wellsburg, Brooke, West Virginia. One newspaper article suggested she was returning to the USA on account of ill health. Mr. Karnes, who was an oil well worker, died of smallpox in Youngala, Burma, shortly after Mrs. Karnes had died on the Titanic. Since no survivors mentioned Mrs. Karnes or Mrs. Corey during the night of the sinking of the Titanic, it is difficult to establish what happened to them. It has been speculated that Mrs. Corey, being 7 or 8 months pregnant, stayed in the cabin for too long and that Mrs. Karnes kept her company. She was born 17 February 1878 in Finland. Her parents were Juho Jacob Silfven (b. 22 July 1849) and Brita Elisabeth Seppanen (b. 17 April 1849), who had married 4 April 1874 at Uleåborg, Finland. Her brothers and sisters were Carl Albert, b. 18 January at Uleåborg, Johan Victor, b. 1 September 1876, Ellen M., b. 1881 in Michigan, John Benhart, b. 29 June 1883 at Hancock, Michigan, Lidya, b. 8 March 1884, Edward Elia, b. 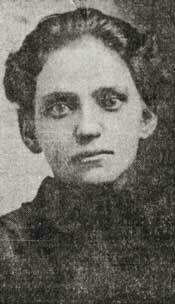 21 February 1888 in South Dakota, Kathryn Elvira, b. 8 April 1888 in South Dakota, and William Arthur, b. November 1891 in South Dakota. 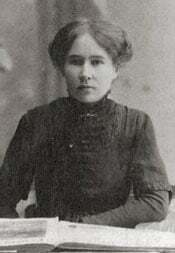 Anna had come to the USA in 1903. She married Rev. William Lahtinen on October 15, 1904, in Lawrence County, South Dakota. In 1910, she lived at Cokato, Wright County, Minnesota, with her husband William, and their adopted daughter Martha Agnes, 2 years old (b. 29 September 1907 at St. Paul, Minnesota). Martha died shortly before their departure from Finland (10 March, 1912). After the Titanic hit the iceberg, Rev. and Mrs. Lahtinen went on deck with Miss Lyyli Silvén. Miss Silvén entered boat No. 12, but Mrs. Lahtinen stayed on deck, not wishing to leave her husband. Apparently, Mrs. Mack had been a stewardess earlier in her life, albeit there is no known evidence to this effect. She had been christened on 7 February 1855 in Birmingham or Harborne, Staffordshire. Her parents were George, a coachman born about 1827 at Edgbaston/Birmingham, and Mary (nee Every) Lacy, who had been born about 1823 in or near Dudley, Worcestershire. Her parents had married 14 March 1852 at St. Philip's Church (Cathedral) in Birmingham, in the Church of England. It is claimed that her first husband was a John Arber; he has also been mentioned as John Nober; no marriage record has been discovered as yet and there is a chance they were never married. They had a daughter, Agnes Mary, who purportedly was born 12 August 1877, although her death record in New York from 1932 stated she was 55 when she passed away. In 1881, Agnes, whose place of birth was noted as Marsden, Surrey, and whose last name was noted as Lacy (!? ), was 3 years old and was living with her grandparents at Brunswick Street East in Hove, Sussex. In 1901, she lived, as Mrs. Mary Mack, at Wimpson Lane in Millbrook, Hampshire, and was purportedly aged 45. She was travelling on the Titanic to stay with her daughter, now Mrs. Haran, in New York. During the sinking, nobody reported to having seen/noticed Mrs. Mack. One passenger in boat 9 mentioned an elderly lady making some sort of fuss near the boat, refusing to enter it. She rushed away from the boat and was not seen again before the boat left. There is a small chance this was Mrs. Mack, but there is nothing to substantiate this. She was born 25 April 1885 in Plymouth, Devon, England. Her parents were Arscott, a carpenter/joiner (organ building) born about 1852 at Thornbury in Devonshire, and Mary Jane (nee Rees) Wonnacott, born about 1857 at Holsworthy, Devonshire, who had married in the second quarter of 1878 at Holsworthy. In 1901, she was aged 15 and was noted as a shop assistant in a stationer's shop and lived at Staddon Terrace in Plymouth, Devonshire, England, with her parents and brother Charles Thomas, 21, a butcher's salesman, and sisters Lucy Jane, 18, and Gertrude May, 7. She married William John Robert Turpin in Batter Street Presbyterian (church) on March 23, 1908. Mr. and Mrs. Turpin lived at 59 Chaddlewood Avenue, Lipson, Plymouth. In 1910, they lived in Garfield, Salt Lake, Utah, and William was noted as a carpenter/smelter. They were returning to Utah when the Titanic sank. No survivors reported having seen the Turpins during the sinking of the Titanic. She was born 22 April 1889 in Paris to Modeste Henri Theóbad (Théobald?) and Maria Anna (nee Willems; born at Brussels, Belgium) Yvois, who had married 29 October 1891 at Paris, which means Henriette was in fact born out of wedlock. She was allegedly a model and lived at 5 Rue des Pyramides in Paris, France. Her father was a 'garcon restaurateur,' which probably means a restaurant waiter. She had come to St. John, New Brunswick, on 31 March 1911, having travelled 2nd class on the Empress of Ireland. Her occupation was given as that of a ''color photographer,'' and her destination was ''Mr. W. H. Harbeck, 1222 East Columbia Street, Seattle, Washington.'' She stated her mother was ''Anna Williams, 5 Rue de Pyramids, Paris.'' She had never been to the USA before and had paid for the journey herself. She was 5 foot 1 inch tall, had a dark complexion, dark hair and blue eyes. She travelled on the Titanic with William Harbeck. It has suggested that Harbeck was her lover; which may be true, however, they may simply have been business associates. Lawrence Beesley had observed her and Mr. Harbeck earlier during the journey, but on the fatal night there are no known reports of their whereabouts.